Dedicated to Andrew because he asked so nicely! 1. 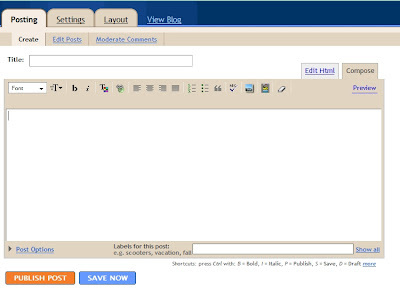 Sign into your blogspot account as per usual and choose to create a new post. 2. Depending on where you choose to place your video in the post, either write your text before putting the video in or wait until after. 3. In a new tab/window, go to YouTube.com and decide what video you'd like to select. 4. 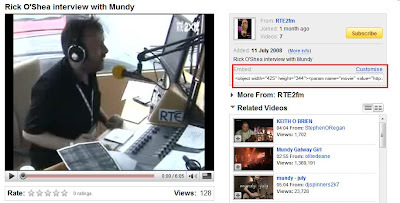 To the right side of the video you'll see the EMBED code. 6. 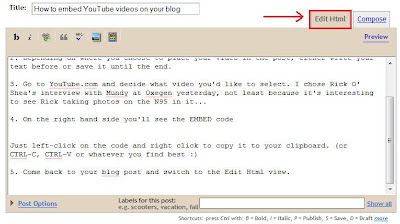 Return to your blog post screen and switch to the Edit Html view. 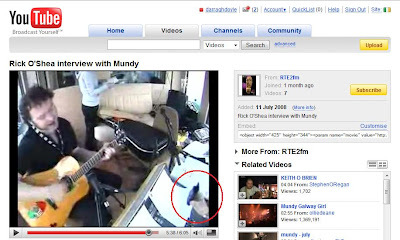 And that's where your YouTube video will appear in your post. You can write as much text as you like before and after it, or indeed just paste it in and publish, it's up to you. There are probably easier ways of doing it, but that's what I find works for me :) And if it doesn't work the first time, just try again! Nothing left but to enjoy the video and comments from the people you share it with. Oh! Is that all there is to it?!? I thought that it was more complicated than that - will have to give it a go! Ah! I'm like Sam above. This is just what I needed. I'm on Wordpress, but it should be about the same... Thanks so much Darragh! Thanks a lot dude. that's what i was looking for. Thanks for the quick and easy, Darragh. Thank you thank you! I bow to your superior knowledge! Any insight on how to stack the videos side by side and on top? Thanks for your information. I was wondering how it could be. But I have one doubt. Edit html is for edit the template. Can we embed different. 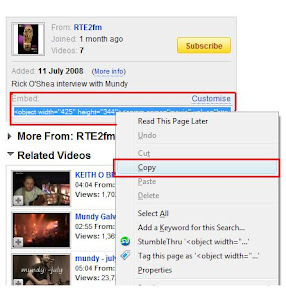 Does embedding there result in videos in all pages? Thank you! I so appreciate this. You are a life saver. Many thanks for the good info -- worked like a charm! Thanks for you help. I have a follow-up question. When I embedded my video as you have, it cuts off a little bit of the video. I notice yours is cut off a little on the right, too. Is there any way to re-size the video so all of it fits? My video has words, and they are getting cut off! Oh Thank you so very, very much! This has really helped (and you won't believe how long I've been trying to figure this out). 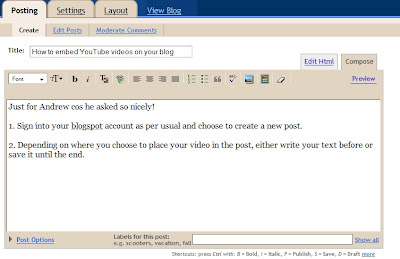 It'll definitely help me improve my blog! That was really helpful. Thanks. One question, though: Do you know how to get it to show the entire video on the post. Your video here is like mine - the very far right side is chopped off. Do you know if there is a way to fix that so that it shows the entire video?